The Alaska Mental Health Trust Authority board approved its largest land exchange to date Thursday. Through the deal, up to 40,000 acres of land in and around Southeast communities will change hands between the Trust and the U.S. Forest Service. 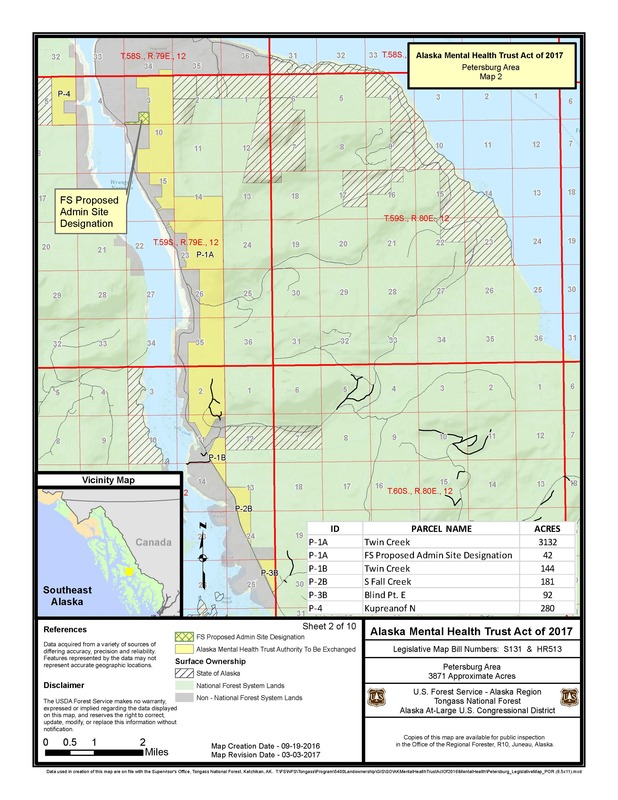 The land exchange is the culmination of more than a decade of work by stakeholders and took acts of both Congress and the Alaska Legislature to make it happen. 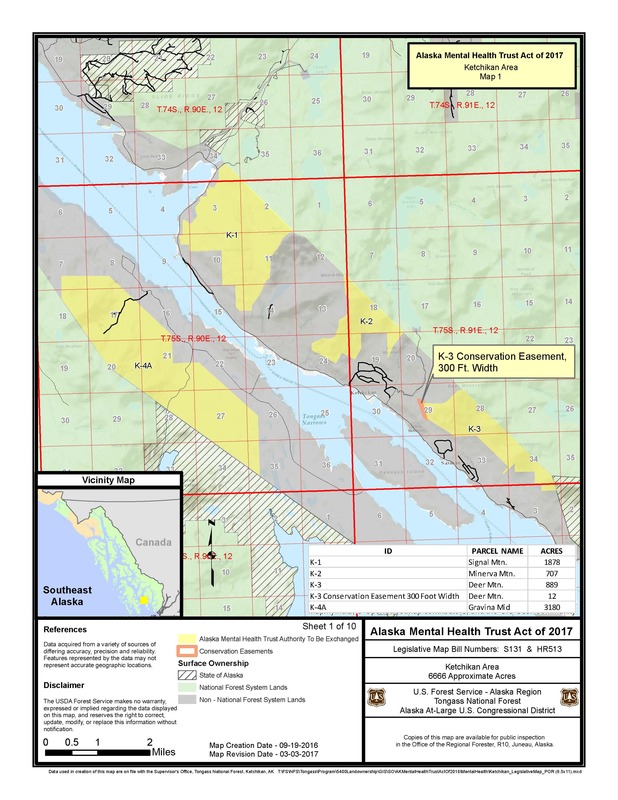 Once all is said and done, about 18,000 acres of land owned by the Alaska Mental Health Trust Authority will be swapped for roughly 20,000 acres of U.S. Forest Service land. “We don’t know the exact acreage because it’s based upon equal value, so we’ll see in the end,” said Wyn Menefee, executive director of the Trust Land Office. The Mental Health Trust owns land all over Alaska, and its goal is to use them to generate money to pay for services for beneficiaries. Often, that means earning funds through logging and mining. But some of the trust’s lands in Southeast border residential neighborhoods and sites for outdoor recreation. That includes 2,689 acres around Mount Jumbo, also known as Mount Bradley, a scenic hiking destination in Juneau. The same goes for Deer Mountain overlooking Ketchikan and similar parcels near Petersburg, Sitka and Wrangell. Those lands will now be owned and protected by the Forest Service. 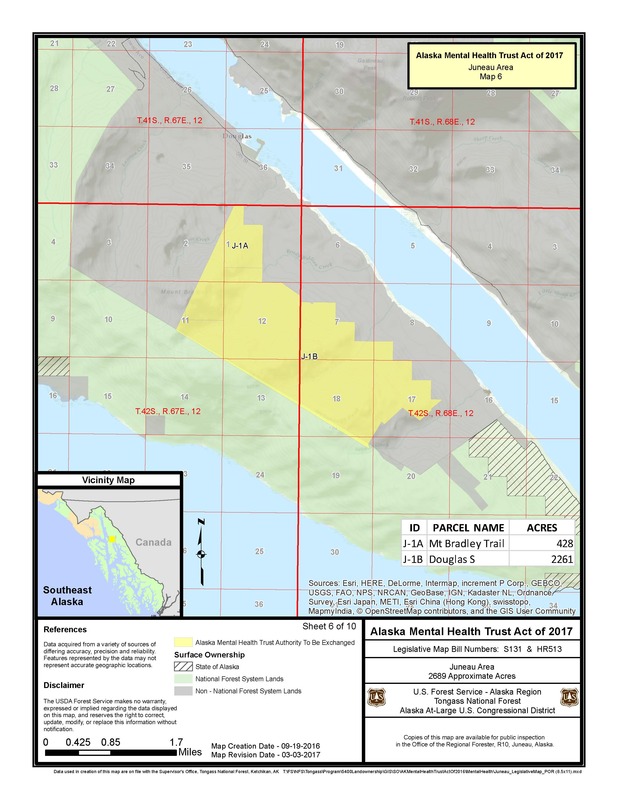 In exchange, the trust receives federal lands on Prince of Wales Island for logging. They also have a contract with Viking Lumber on Prince of Wales — one of the last working sawmills in Alaska. With that deal, the trust expects the 10-year sale of old-growth timber to generate up to $15 million for the trust. But that’s just some of the land involved. Menefee said the entirety of the land they’re getting from the Forest Service will generate millions more in the decades to come. He said the exchange is a win-win — they gave up lands communities did not want to see logged, and now they can use existing logging infrastructure on Prince of Wales. “So this puts us in a situation where we can actually make revenues from lands that we get through this exchange, which will help the beneficiaries,” Menefee said. While residents in those communities may be relieved that nearby lands will be protected, some on Prince of Wales view the exchange as just another instance where they bear the burden of resource development. Cheryl Fecko has lived in Craig, Alaska, for nearly 40 years. She said she and many of her neighbors are concerned by the impact logging has on species like salmon and deer, which many people rely on for food in the remote community. 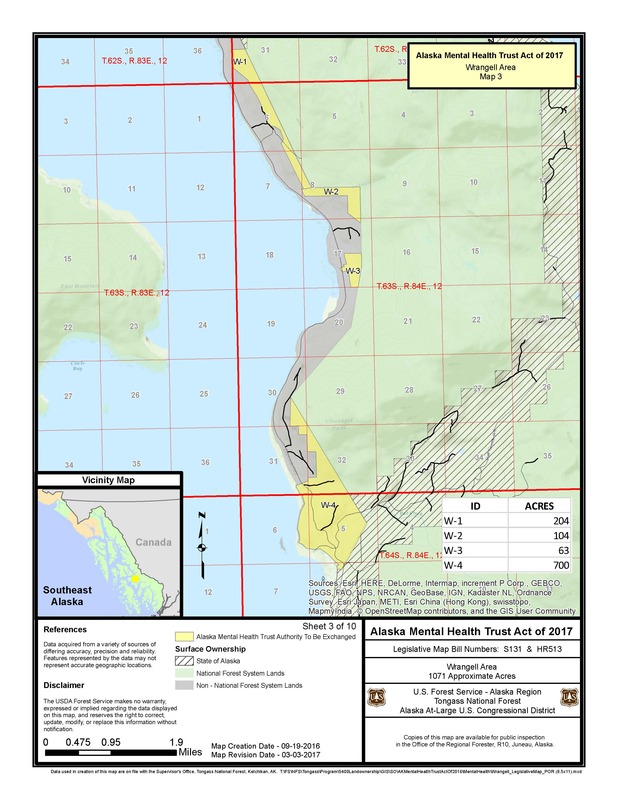 “We have over 1,000 miles of road and a patchwork of clear cuts in various stages of regrowth, but honestly I think that’s kind of reason to maybe not go immediately to Prince of Wales instead of always using it as the ‘sacrificial lamb of the Tongass,’” Fecko said. 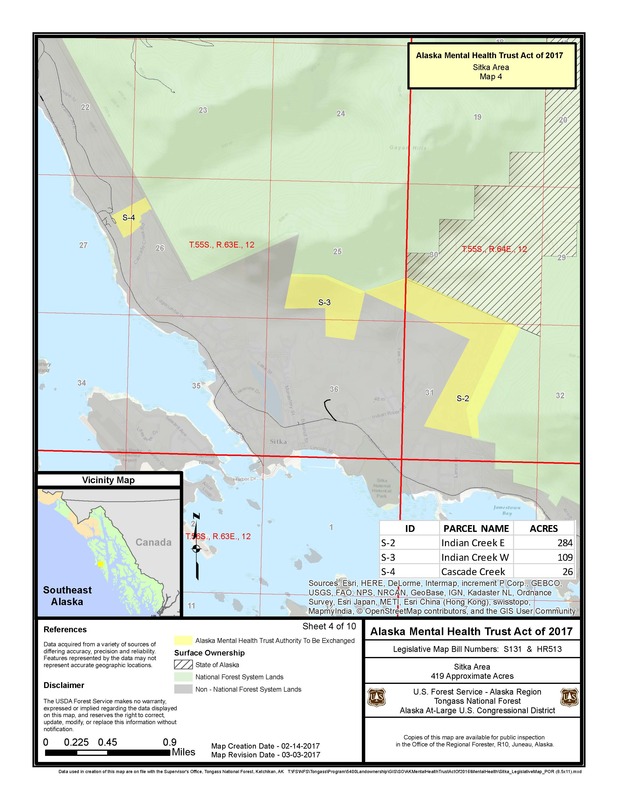 Menefee said the smaller first phase of the land exchange — which involves two mountains near Ketchikan and timber lands on Prince of Wales — should finalize later this month. He said Viking could begin processing lumber by February.